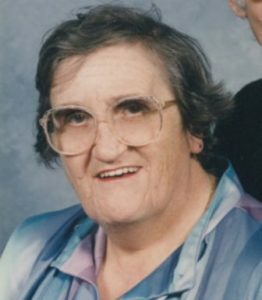 Northborough – Jane W. (Bailey) Kirally, 79, a longtime Northborough resident and wife to Raymond F. Kirally Sr., passed away Dec. 6, 2018 at the UMass Medical Center after a short illness. Jane was born in Worcester, a daughter to Howard and Elthea (Taylor) Bailey. She worked many years in the cafeteria of Algonquin High School as well as the former Westborough State Hospital as a kitchen supervisor. She was a longtime active member and former deacon of the Trinity Church in Northborough. In addition to her husband, Raymond, Jane is survived by one son, Raymond F. Kirally Jr.; his wife, Theresa; and two granddaughters, Shea and Amber, all of Southborough. She was predeceased by her sisters, Ardelle, Frances, and Muriel. She loved having a bountiful flower garden, sewing, and spending time with her grandchildren and family. A calling hour will be held Tuesday, Dec. 11, from 10-11 a.m., at Hays Funeral Home, 56 Main St., Northborough. A funeral service in the funeral home will begin at 11 a.m. 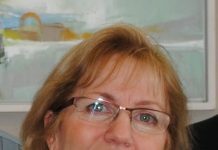 Please visit www.HaysFuneralHome.com for Jane’s complete life story and to leave a condolence.